GREAT WALL STEED 2017 UTE 4X4 MANUAL, TURBO DIESEL 2.0L. 28 km only , TOWBAR, ROOF RACKS ARE FOR SALES TOO. We are currently wrecking this 2017 GREAT WALL STEED 4WD MANUAL, TURBO DIESEL 2.0L TDI . 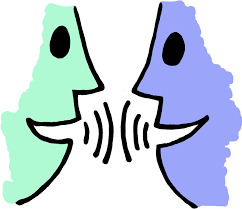 Contact us now to order your parts!.... 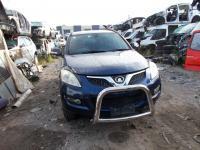 Parts for Great Wall,Great Wall v200 for parts,Great Wall v200for Wrecking, VERY GOOD CONDITION GREY INTERIOR. v200 Turbo Diesel Engine GW4D20. 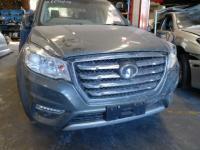 This Great Wall engine and all front and rear parts and panels with suspension ready to sell for parts. EAT WALL STEED 2016 UTE 4X4 MANUAL TURBO DIESEL 2.0L. 15 KM ONLY TOWBAR16INCH WHEELS AND TYRES ALMOST NEW. WE ARE CURRENTLY WRECKING THIS 2017 GREAT WALL STEED 4WD MANUAL TURBO DIESEL 2.0L TDI. 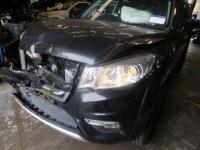 PARTS FOR GREAT WALL STEED GREAT WALL STEED FOR PARTSGREAT WALL STEED FOR WRECKINGSTEED FOR PARTSP PARTS FOR STEED VERY GOOD CONDITION GREY INTERIOR. V200 TURBO DIESEL ENGINE GW4D20. THIS GREAT WALL ENGINE AND ALL FRONT AND REAR PARTS AND PANELS WITH SUSPENSION READY TO SELL FOR PARTS. 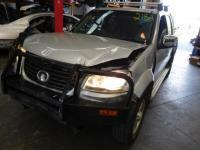 PARTS FOR GREAT WALL V240,GREAT WALL V240 FOR PARTS,GREAT WALL V240 FOR WRECKING, WRECKING GREAT WALL V240. GREAT WALL V240 2014 MANUAL 2WD, 4G69S4N ENGINE..64,170km WE ARE CURRENTLY WRECKING THIS 2014 GREAT WALL V240 2WD SINGLE CAB, PETROL. CONTACT US NOW TO ORDER YOUR PARTS!.... we have white ,silver and black colours wrecking great wall , great wall wrecking. 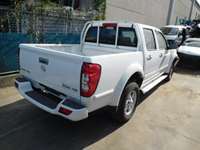 PARTS FOR GREAT WALL V240,GREAT WAL V240 FOR PARTS,GREAT WALL V240 FOR WRECKING, WRECKING GREAT WALL V240. SPARE PARTS FOR GREAT WALL . GREAT WALL SPARE PARTS. 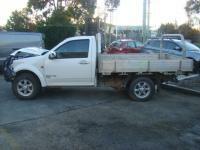 GREAT WALL V200 2012 UTE 4X4 MANUAL, TURBO DIESEL 2.0L. CANOPY, SIDE STEPS, TOWBAR, ROOF RACKS ARE FOR SALES TOO. We are currently wrecking this 2012 GREAT WALL 4WD MANUAL, TURBO DIESEL 2.0L TDI . Contact us now to order your parts!.... 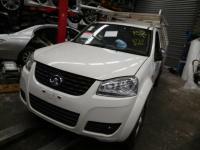 Parts for Great Wall,Great Wall v200 for parts,Great Wall v200for Wrecking, VERY GOOD CONDITION GREY INTERIOR. v200 Turbo Diesel Engine GW4D20. 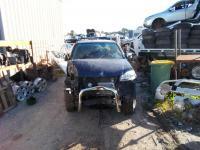 This Great Wall engine and all front and rear parts and panels with suspension ready to sell for parts. 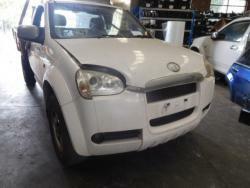 GREAT WALL V240 2010 MANUAL 2WD 4G69S4N ENGINE.. WE ARE CURRENTLY WRECKING THIS 2010 GREAT WALL V240 2WD PETROL. 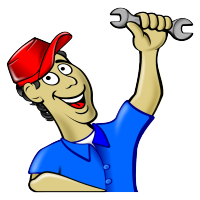 CONTACT US NOW TO ORDER YOUR PARTS!.... 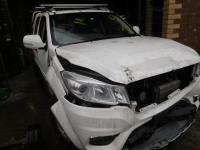 PARTS FOR GREAT WALL V240GREAT WAL V240 FOR PARTSGREAT WALL V240 FOR WRECKING WRECKING GREAT WALL V240. SPARE PARTS FOR GREAT WALL . GREAT WALL SPARE PARTS.